Media personality Bill Cole, MS, MA, has developed, pitched and sold his ideas in Hollywood and has successfully worked in front of the camera, as well as behind it. His TV, radio or film credits include Creator, Writer, Producer, Consulting Producer, Founding Producer, Guest Expert and Host. His television hosting and radio hosting have taken him across the US. Bill is available for consultation and engagement in multiple roles for film, TV and radio projects. Bill Cole, MS, MA, is a thought leader in the worlds of peak performance, coaching and the mental game. His imaginative, visionary work has been profiled hundreds of times in both the electronic and print media, ranging from MSNBC.com, Success Magazine, The BBC, The Washington Post, Corporate & Incentive Travel magazine, Golf Magazine, The San Francisco Examiner and Chronicle, Yahoo! Sports, The San Jose Mercury News, The Denver Post, The Detroit News, The Buffalo News, Tennis Magazine, Runner's World, Fitness Magazine, Presentations Magazine, Professionally Speaking Magazine, California Job Journal, Corporate Training Magazine, American Society For Quality Newsletter, Straights Times Newspaper (Singapore) to Sirius Radio and many more. "A world-renowned peak performance coach." "... an authority on sports psychology... He is one of the top peak performance coaches in the country...Bill's peak performance system helped us tremendously in our march to reach the finals of the College World Series." "...one of the top peak performance coaches on the ATP Pro Tennis Tour." "Bill Cole is a mind guru...he is among the elite mental game peak performance experts in this country." "Bill Cole is a world-class coach... A speaker's speaker." Bill's multifaceted career has taken him into the worlds of business, politics, professional speaking, training, education, sports, journalism, writing, music, coaching, psychotherapy, the media and entertainment. His exceptional, wide-ranging, life-long journey into the world of peak performance and personal development as an innovative, in-the-trenches coach, teacher, performer, businessman, researcher, writer, trainer, speaker and therapist make him uniquely qualified to speak with authority as one who has walked the talk and as one who can coach others on how to achieve their dreams. 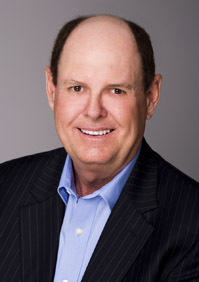 Bill is also the Founder and President of The International Mental Game Coaching Association (IMGCA), the leading worldwide organization dedicated to advancing the research, development, professionalism and growth of mental game coaching, which trains and certifies mental game coaches worldwide. Pages on external sites open in a new browser window.